Canberra entrepreneur Jack Taylor is proof that you don’t need an MBA or years of experience to start a successful business (or four). The 22-year-old, who started his first business at age 14, is the owner and principal of JT Events, JT Sports Tours, JTG Management and King Kreative, which operate under the Jack Taylor Group umbrella. Combined, the businesses employ four full-time staff members and maintain a pool of around 50 casual employees. Jack says one of his biggest challenges is being able to dedicate time to each business and client. 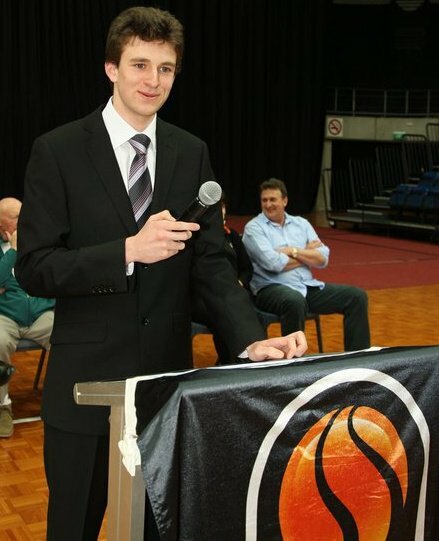 On top of running the Jack Taylor Group, he is also president of the Ginninderra Rats Basketball Club, foundation president of St Francis Xavier College Alumni and referees director at Basketball ACT. As someone who admits that he isn’t always organised, he says his secret to effective time management is hiring employees whose strengths complement his own. “I can be disorganised, but I have an assistant, Dan, who balances my strengths and skill set. He makes sure that I’m organised and prepared,” he says. Jack describes himself as a practical person who prefers to learn by doing. While he is largely self-taught, he says mentors have played a crucial role in his success. “What people often forget is that people who are self taught usually have mentors too. I’m fortunate to have mentors across all areas of my business,” he says. Though he has too many mentors to name individually (he meets with 10 of his mentors at least once per month), one of his biggest influences is his late grandfather, Ralph Taylor, who moved to Canberra and founded Taylor’s Real Estate over 50 years ago. His grandfather’s business style has even influenced the Jack Taylor Group’s marketing strategy, which is primarily word of mouth. “Back in my Pop’s day, they didn’t have social media or mass marketing in the same way that we do. It was about good service and building strong relationships with clients,” he says. After several years of working full-time on his own businesses, Jack says he’d find it difficult to go back to working as an employee in another business. “I’d struggle in a nine to five job where I’d have to clock in and clock out and be passionate about someone else’s vision,” he says. Fortunately for Jack, it appears unlikely that he’ll need to find a job anytime soon. The Jack Taylor Group is concentrating on growing its Canberra client base, with a view to opening an interstate office in the next five years. “We’re in a phase of building locally. There are so many good providers here and the challenge is that there’s already an established, solid network of suppliers. The challenge for us is to recognise their strengths and work out how to do it better for our clients,” he explains.